Jakarta: Taiwan’s World No. 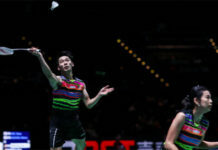 1 women’s singles player Tai Tzu Ying has entered the Asian Games final after beating India’s Saina Nehwal 21-17, 21-14 in the last four on Monday. 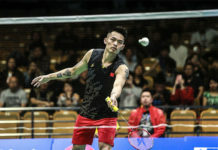 The victory was Tai’s 10th straight win against the Indian player. 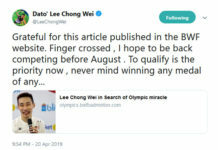 Tai will take on another Indian player, World No. 3 PV Sindhu for the Asian Games crown. After her team event win, the lanky Sindhu, once again outlasted World No. 2 Akane Yamaguchi of Japan for the second time in the tournament as she saw off the Japanese player 21-17, 15-21, 21-10 on Monday. “I am expecting the final to be a good match, because I am prepared for Tai,” said Sindhu. “This is a big tournament and every player is tough. I will try to play my best tomorrow,” added Sindhu. Meanwhile in the women’s doubles final, the Chinese pair of Chen Qingchen/Jia Yifan survived huge scare to win gold after defeating Rio Olympic champions Misaki Matsutomo/Ayaka Takahashi of Japan 22-20, 22-20. China also took home the mixed doubles gold medal as Zheng Siwei/Huang Yaqiong defeated Tang Chun Man/Tse Ying Suet of Hong Kong 21-8, 21-15.